The participants at Dehradun event include Baba Ramdev’s Haridwar-based Patanjali Yogpeeth, Haridwar-based Shanti Kunj, Sri Sri Ravi Shankar’s Art of Living, participants from the “spiritual organisation” Brahma Kumaris, and yoga practitioners from Swami Chidanand Saraswati’s Rishikesh-based Parmarth Niketan. 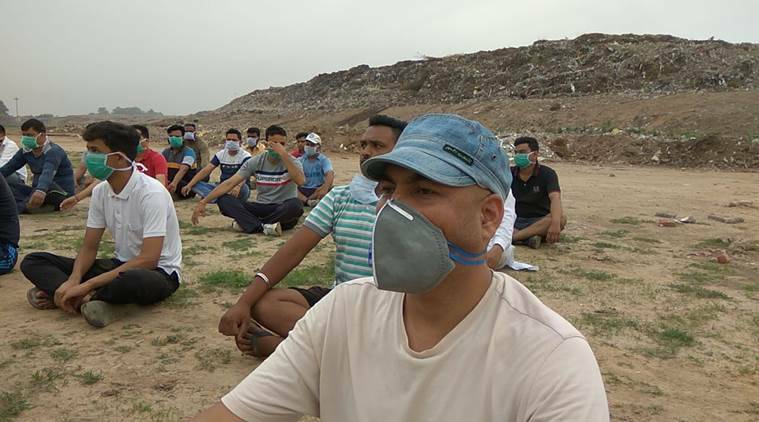 Meanwhile, Environment Minister Dr.Harsh Vardhan, Delhi Chief Minister Arvind Kejriwal and LG Anil Baijal led the celebrations at Delhi’s Rajghat. 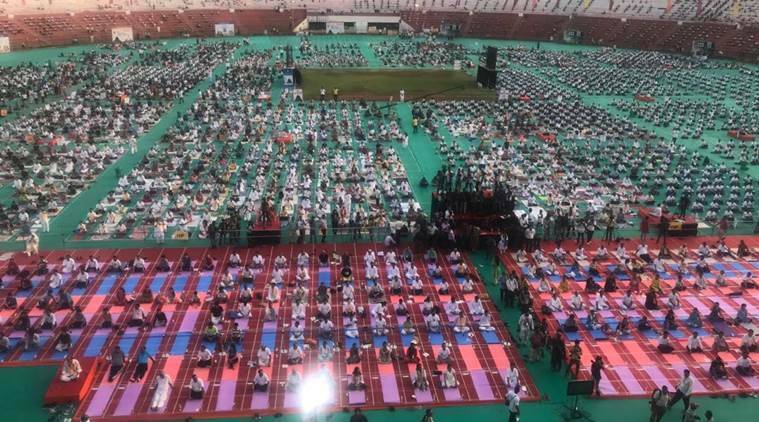 Union ministers Rajnath Singh, Nitin Gadkari, Suresh Prabhu, Uma Bharti, Ram Vilas Paswan, Ravi Shankar Prasad are taking part in yoga events in Lucknow, Nagpur, Chennai, Rudraprayag, Hajipur and Patna respectively. 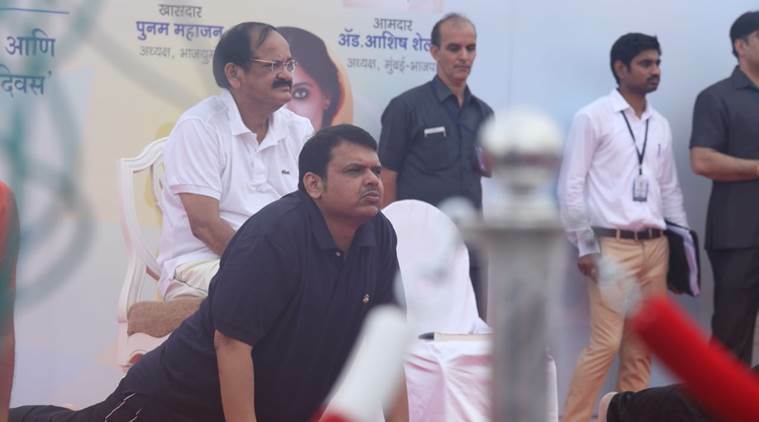 Vice President M Venkaiah Naidu along with Maharashtra Chief Minister M Venkaiah Naidu participated in an event in Mumbai. Greetings on the occasion of United Nations' International Day of Yoga. 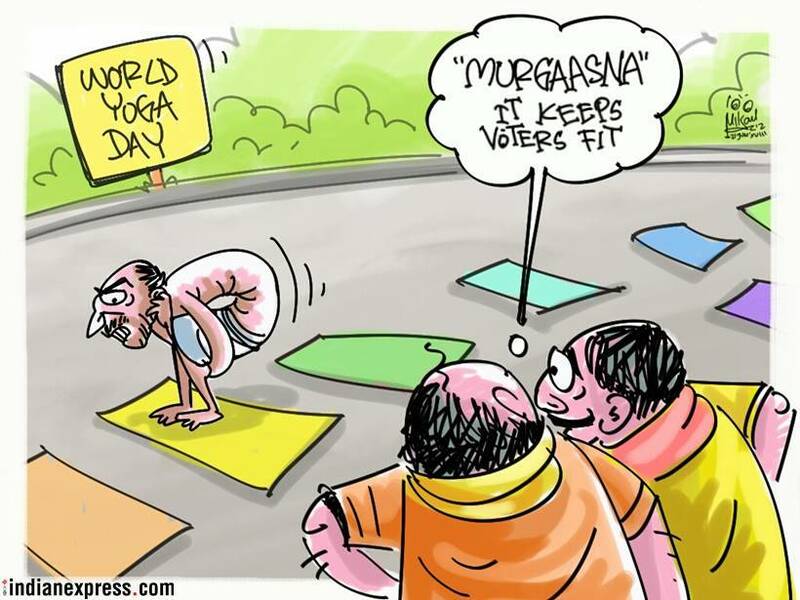 While the BJP is out in full strength to participate in events held to mark the fourth International Yoga Day on Thursday, the Janata Dal(U), its ally in Bihar, has decided to skip the celebrations — for the third year in a row. 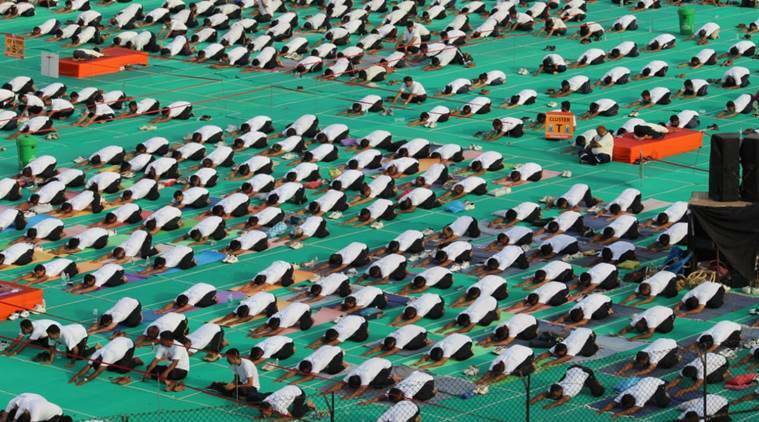 In wake of yoga day, Elaborate security arrangements have been put in the National Capital. More than 500 police and paramilitary personnel have been deployed to keep an eye on suspicious elements. The Delhi Traffic Police has issued an advisory asking motorists to avoid Rafi Marg, Janpath, Man Singh Road, Maulana Azad Road, Rajpath (between Vijay Chowk and Man Singh crossing), Krishna Menon Marg, K Kam Raj Marg and Rajender Prasad Road till 10 am today. The advisory asked motorists to take alternate routes -- Ring Road, Mathura Road, Bhairon Marg, Subramaniam Bharti Marg, Rajesh Pilot Marg, Dr Abdul Kalam Road, Tuglak Road, Mother Teresa Crescent Marg to travel from south to north and vice-versa, and from east to west and vice-versa. In Delhi, eight events have been planned in the national capital with the main celebration being held in the Connaught Place. Adding that yoga has nothing to do with religion, Vice President M Venkaiah Naidu said, "I want it to become a people's movement because it is not something political or religious, it is for the betterment of our lives. It shouldn't be just for one day, it should be a part of our daily lives." 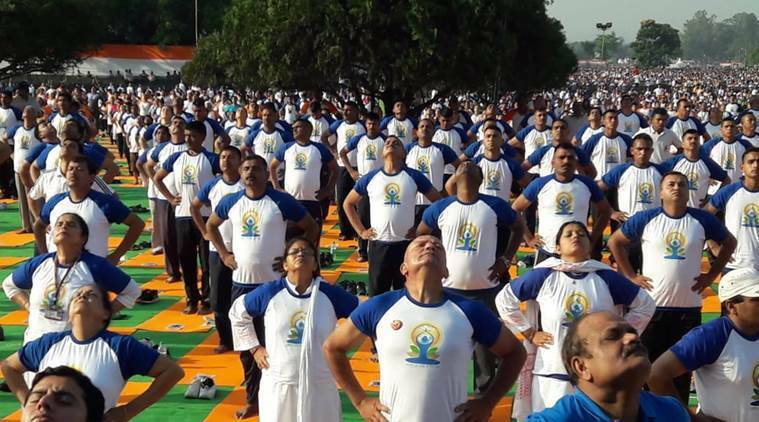 Home Minister Rajnath Singh who joined the yoga enthusiasts in Lucknow emphasised on Prime Minister Modi's role in popularising yoga around the world. "Today the entire world is celebrating Yoga day. Yoga’s popularity and acceptability is spreading around the world cutting across the continents and religious lines. When India moved the resolution for International Yoga Day in the United Nations, it was supported by many Muslim member countries as well. Yoga is an example of our Prime Minister’s cultural diplomacy," he added. 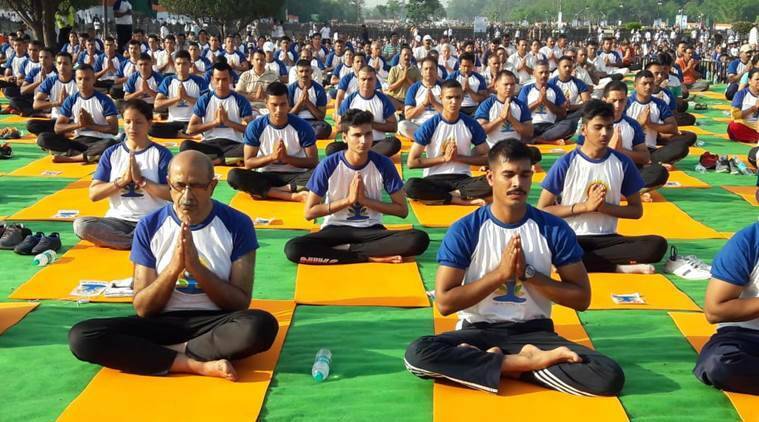 Uttarakhand Chief Minister Trivendra Rawat said that Modi’s presence in Dehradun on Yoga Day will give the state the “much-needed recognition as a yoga destination”. This, he said, will eventually enhance the tourism potential of the state. Thanking Prime Minister Modi for choosing Uttarakhand to kick-start the celebration, Uttarakhand CM Rawat said, "Modi ji, you have a special connection with Uttarakhand. Uttarakhand is happy to host the celebrations. Talking about India's role in promoting yoga, PM Modi said the country should be honoured to be the "guardians of the great practice." "We should be proud of our culture. On the contrary, if we doubt our tradition and culture then the world will not put it's faith in us," Modi added. 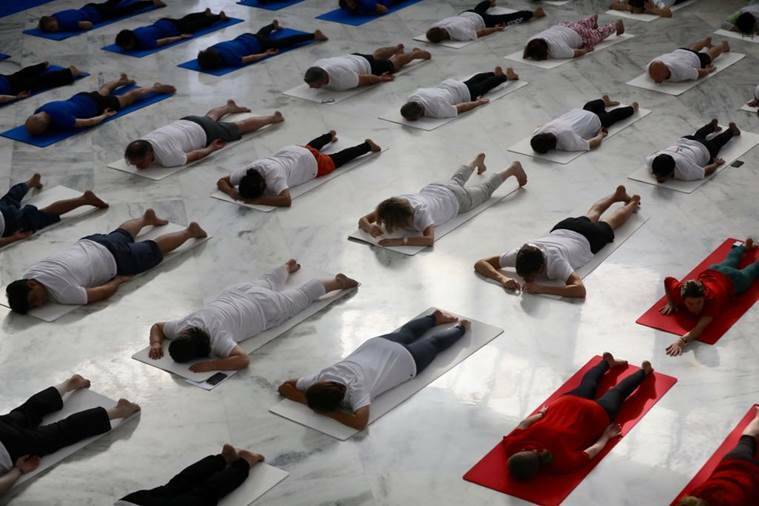 Emphasising on the power of yoga and its global reach, Prime Minister Modi said, "From Dehradun to Dublin, from Shanghai to Chicago, from Jakarta to Johannesburg, there's just yoga The practice of yoga is making better each life (across the world). While many powers in the world divide us, yoga unites us. It gives peace to an individual. It brings happiness and peace to the lives of its practitioners. It is these happy and peaceful people who will make the society, so yoga can lead to a happy and peaceful society. "Yoga is beautiful because it is ancient yet modern, it is constant yet evolving. It has the best of our past and presents and a ray of hope for our future. In Yoga, we have the perfect solution to the problems we face, either as individuals or in our society. 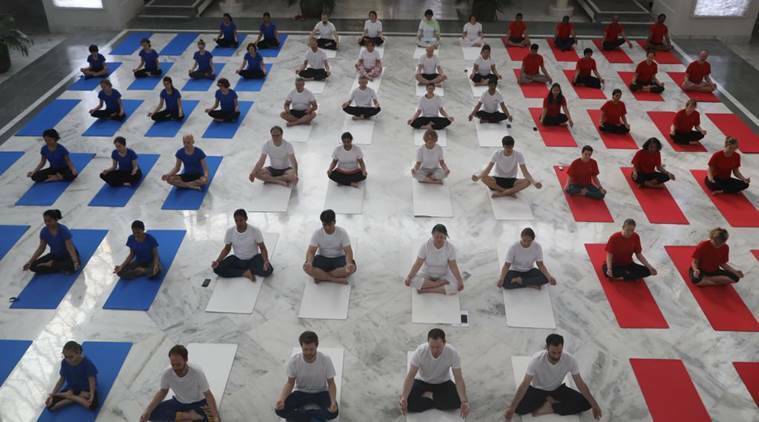 India is Yoga's top ambassador," Prime Minister Modi said. 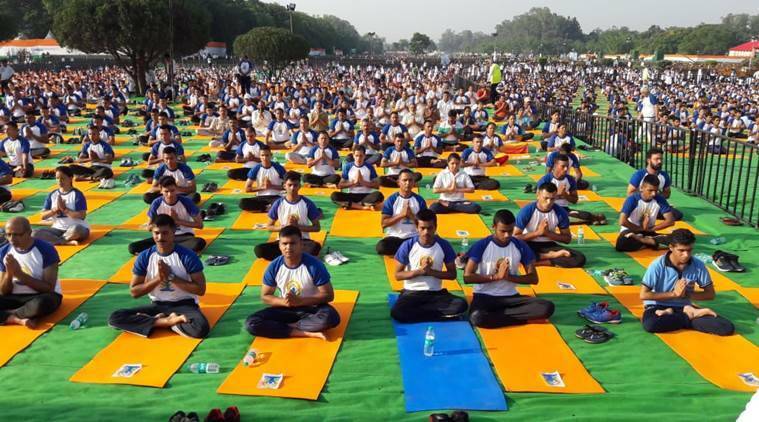 Addressing the crowd on the occasion, Modi said, "Yoga is India's gift to the world. It is a passport for wellness. The world has embraced Yoga and glimpses of this can be seen in the manner in which International Day of Yoga has been marked every year. 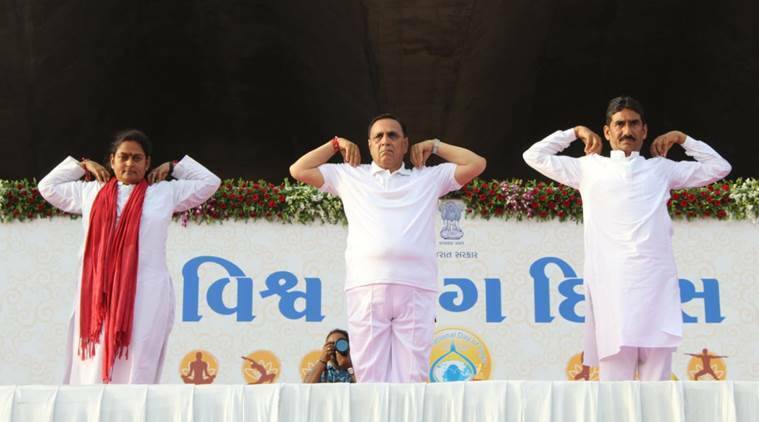 Infact, Yoga Day has become one of the biggest mass movements in the quest for good health and well-being." “Yoga is not just a set of exercises that keeps the body fit. It is a passport to health assurance, a key to fitness and wellness. Nor is Yoga only what you practice in the morning. Doing your day-to-day activities with diligence and complete awareness is a form of Yoga as well,” a statement quoting Modi said.